A confident India would look to complete a 2-0 T20I series whitewash when they take on Ireland in the second T20I at Dublin on Friday. India posted a 76-run win over Ireland in the first T20I with Shikhar Dhawan and Rohit Sharma putting a record 160-run stand for the opening wicket. India would look to finish off the series on a high. Ireland would look to bounce back and level the series in the second T20I. 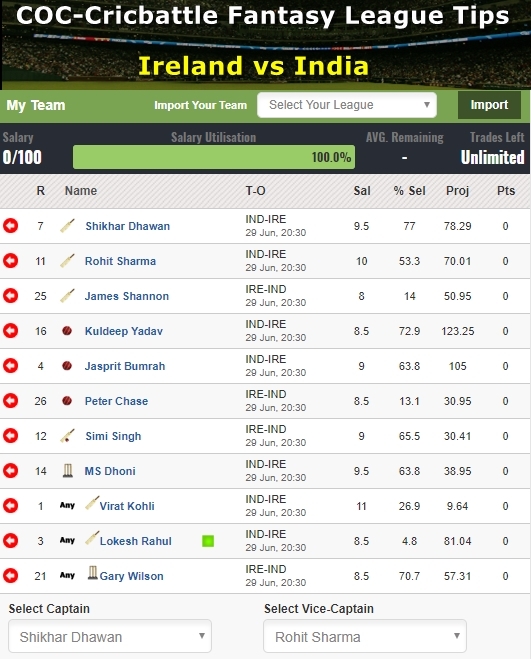 It would take a miracle for India to lose a T20I match against Ireland. But it would be foolish to take Ireland for granted. India would start favorites in the second T20I as well and should finish off the tour with a 2-0 win. Best economical pick – If there is one area where India seem ahead of the curve it is in the spin department, where they possess not one but two world-class wrist spinners, who are capable of making an impact irrespective of the conditions. Kuldeep Yadav finished with his career-best T20I figures in the first T20I and also broke a world record in the process. Top captains & vice captains – If there is one area that Kohli has said that he wouldn't change. And why should he? Shikhar Dhawan andRohit Sharma combined for the fourth-biggest opening partnership in T20I history in the first T20I at Malahide. To disrupt their incredible momentum ahead of the crucial tour of England would be counterproductive. Rohit didn't have a great time in IPL 2018 but he put aside the ghosts of the tournament and fell agonizingly short of what would have been his third T20I century. Shikhar Dhawan continued his impressive form from the IPL and brought up yet another fifty to improve his otherwise average numbers in T20Is. 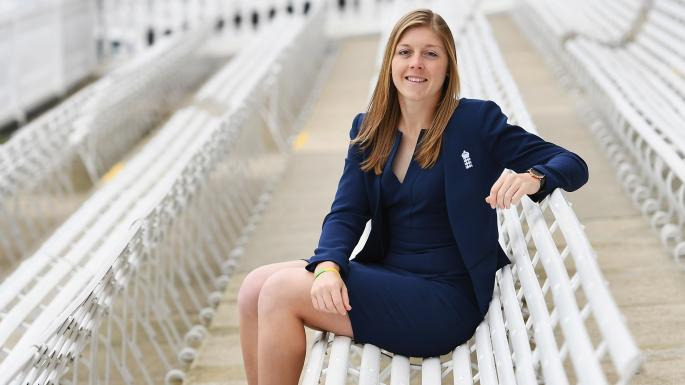 The pair will get another chance to blossom in the second T20I and will look to etch their names in the record books with another standout performance. Smart pick – When Ireland lost Paul Stirling early, they lost half the battle. But, his opening partner James Shannon kept them in the chase as he took on the Indian bowlers at regular intervals. Before the first T20I against India, he had just 49 runs in T20Is and 51 runs in his international career. In the first T20I he reached his maiden international fifty and scored 60 out of 85 runs his team had scored at the time of his dismissal. Cautious Pick – Andy Balbirnie failed in the first T20I against India. He batted at the crucial No 3 position for Ireland in the game. However, he scored at a slow rate and failed to make an impact. He scored 11 runs off 14 balls.